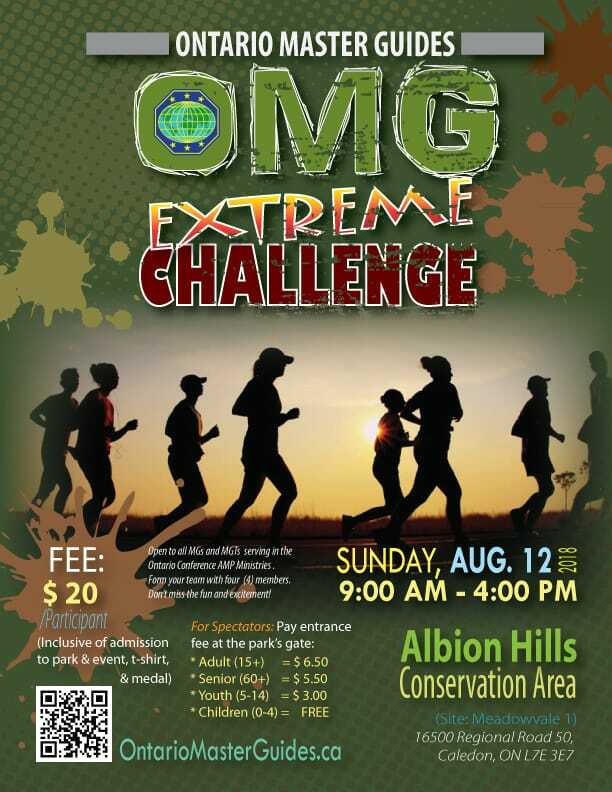 Gear up for the OMG Extreme Challenge to be held on Sunday, August 12, 2018 at 9:00 am at Albion Hills Conservation Area (Site: Meadowvale 1), 16500 Regional Road 50, Caledon, ON L7E 3E7. Cost: $20/ person. Save the date, form your MG/MGT teams, condition your body and stay as physically fit as possible for this exciting and adrenaline-pumping event. Register ASAP!